Our Education Consultants are here for you! With years of combined experience, our team is a fountain of knowledge on the very best in musical instruments, print music, and accessories for the general music classroom! 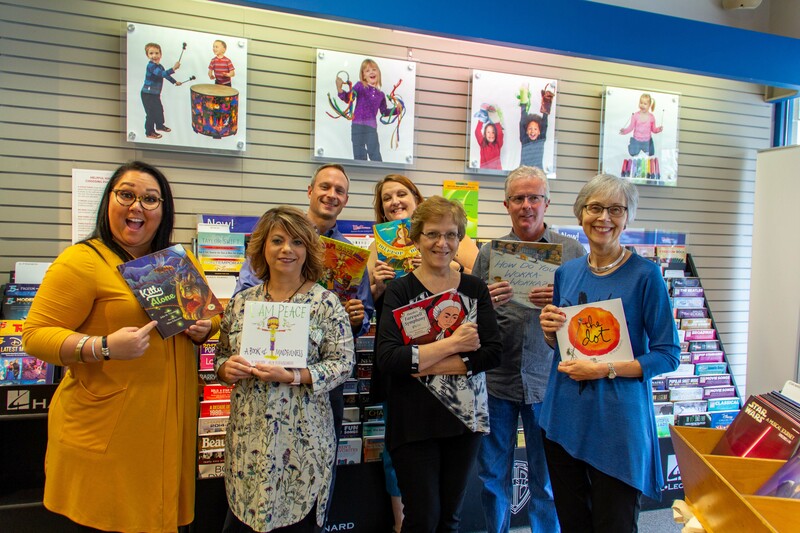 Our team of Education Consultants includes Tereasa Evans, Melissa Blum, Sam Marchuk, Andrea Pelloquin, Judy Pine, Randy Hargis, and Kathy Bohstedt (pictured left to right). Here are the most recent blog entries from Sam, Andrea, and Tereasa that showcase the latest and greatest products and curriculum! Sam writes about how to start a ukulele program in your classroom in his 6-part series. 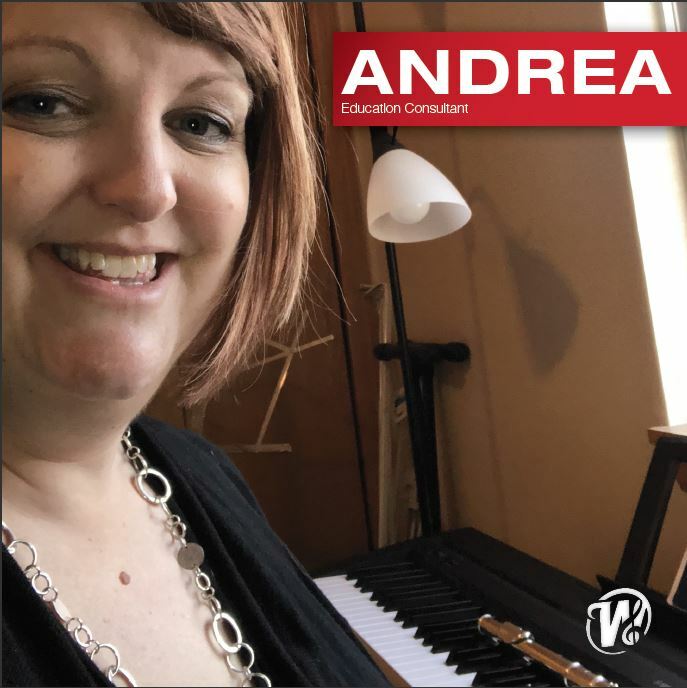 Andrea talks about new ideas in print music and Tereasa blogs about what is new and hot in classroom percussion. We hope you enjoy! Andrea Pelloquin is our Education Consultant for Print Materials. She is a former public school music teacher and has spent the last 15 years in the world of music publishing and retail. She has also maintained a small private flute and piano studio for over 20 years. Ask her about anything related to print resources, musicals, children’s literature, Nuvo instruments, and puppets, among other things. Andrea always welcomes suggestions and recommendations from our community of teachers. Tereasa Evans is our Education Consultant for Classroom Percussion and Wellness. Tereasa taught elementary music in the state of Florida for 10 years, along with participating in and directing various indoor, marching/DCI, and percussion ensembles throughout the US. Tereasa has her Level I, II, and III Orff-Schulwerk certification. Additionally, she is certified in Remo HealthRhythms facilitation, Beat the Odds, and currently pursuing her Drums Alive Master Trainer status. At West Music, Tereasa manages products for music therapists, music educators, and the general hobbyists specifically related to unpitched percussion in an elementary music classroom. 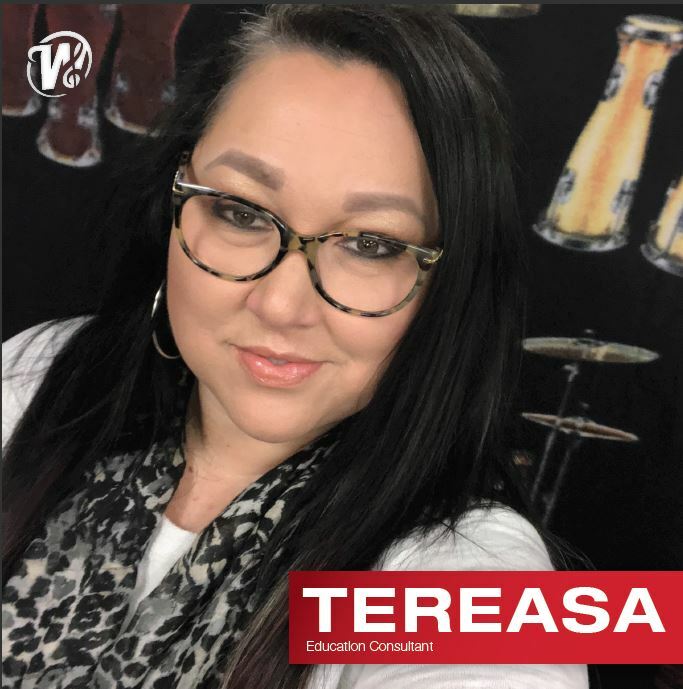 Whether she’s striking, shaking, scraping, drumming, or breaking instruments, it’s all for a good reason and to benefit Tereasa’s customers. Sam Marchuk is our Education Consultant for Folk Instruments and Curriculum. He has been playing ukulele since 2005 and is an avid collector of vintage and contemporary ukulele models. 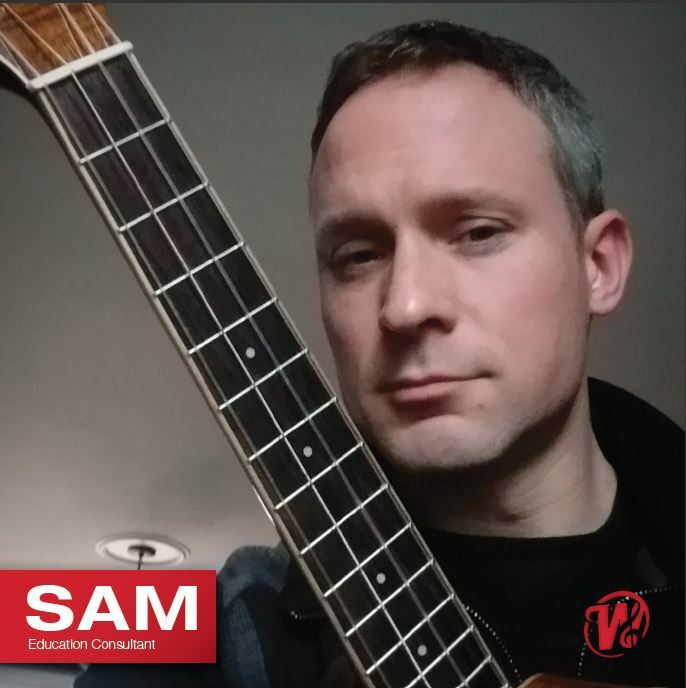 Sam has demonstrated the potential of the ukulele at numerous state and national music education conferences, helped with the startup of ukulele programs across the U.S., and has taught beginning ukulele at the annual Strathmore Ukulele and Guitar Summit in Rockville, MD. As an Education Consultant, Sam assists with the selection and acquisition of instruments and curriculum with teachers across the U.S.
Sam enjoys matching up players of all skill levels and classroom teachers with the right ukulele to fit their personality, style, and budget. Melissa Blum is our Senior Vice President, Director of National Sales, and an Education Consultant for early childhood and World Music Drumming. Melissa Blum has over 25 years of teaching experience at the pre-K, elementary, middle school, and adult levels. Melissa has been on the World Music Drumming Faculty since 2009, creating and teaching the Drumming Up the Fun! summer workshop for teachers of children ages 3-8. 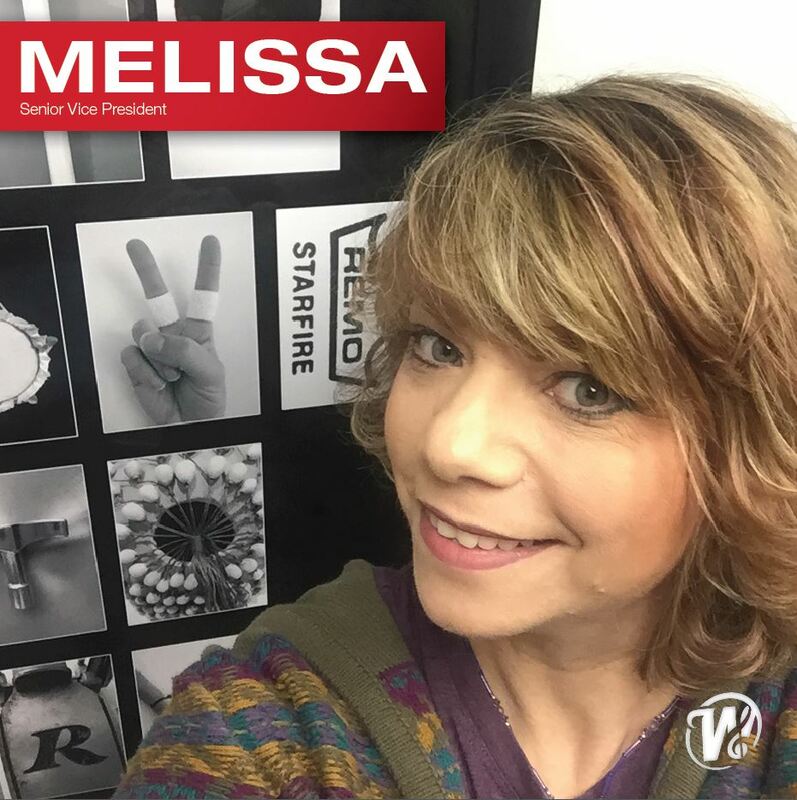 Melissa regularly presents sessions at state and regional conferences as well as professional development days for elementary music teachers. She has facilitated World Music Drumming ensembles as a team-building exercise at a variety of corporate and community events for children and adults. Randy Hargis is our Education Consultant for General Music and Mariachi. He has worked in the music industry since 1977 when he began his gigging career at the young age of 15. 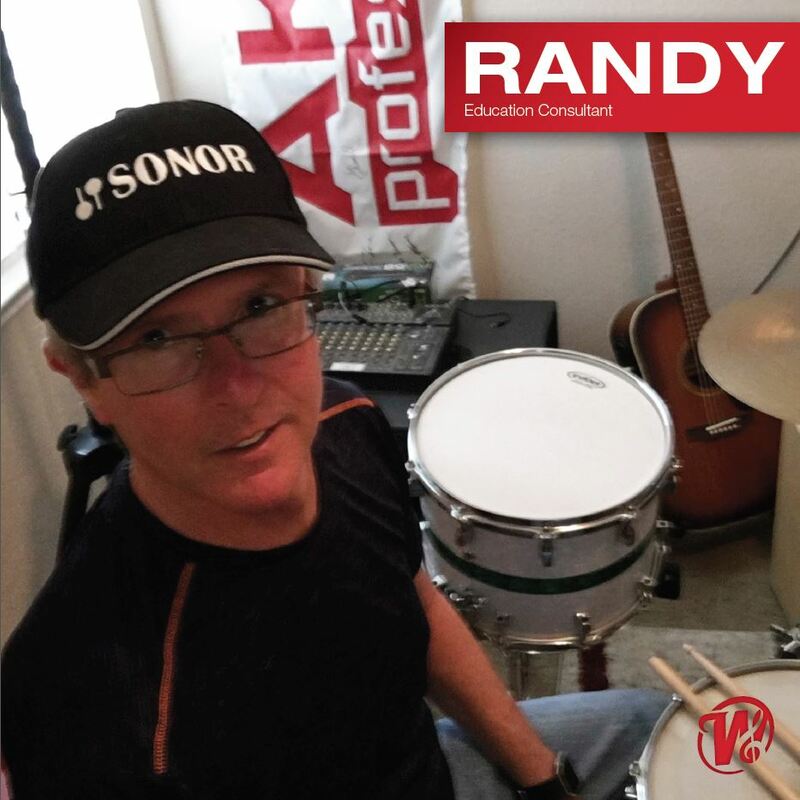 Before coming to West Music in 2011 Randy worked as a music education consultant as well a sales manager and marketing manager for an electronic musical instrument company. Randy is passionate about his role in helping music teachers find the right instruments and learning materials for the classroom. Kathy Bohstedt is our Education Consultant for Print Materials. 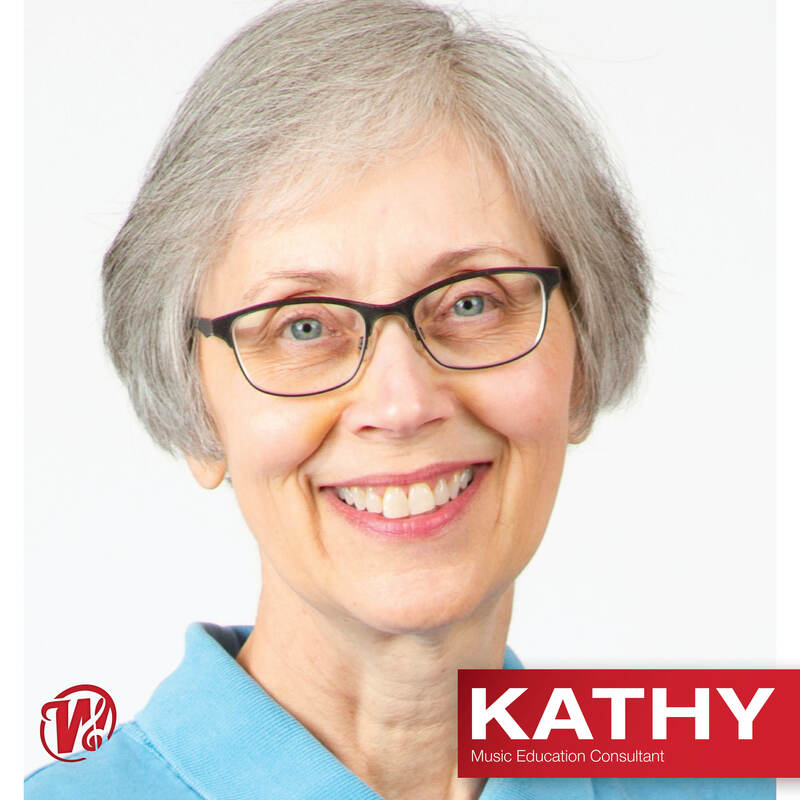 Kathy taught elementary general music for 18 years and has all 3 levels of Orff certification. Additionally, she has completed level I Kodály teacher training course. Kathy helps teachers find materials that will fit their musical goals for their students. This includes giving advice about Orff instruments for elementary music classrooms. 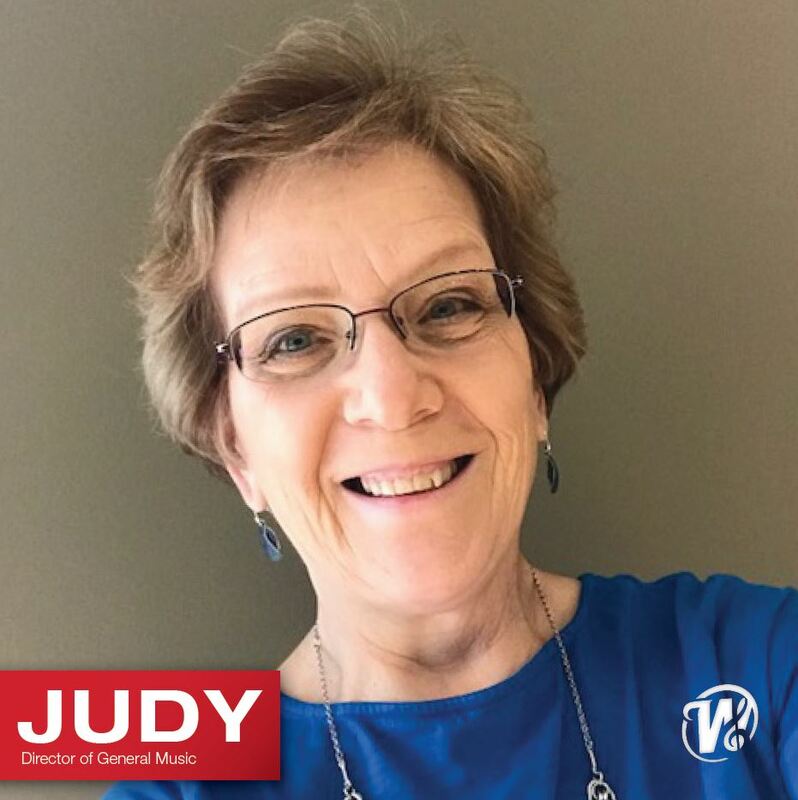 Kathy encourages teachers to attend workshops and conferences, and to contact their local Orff or Kodály chapters to gain new ideas, perspectives, and find a supportive community.